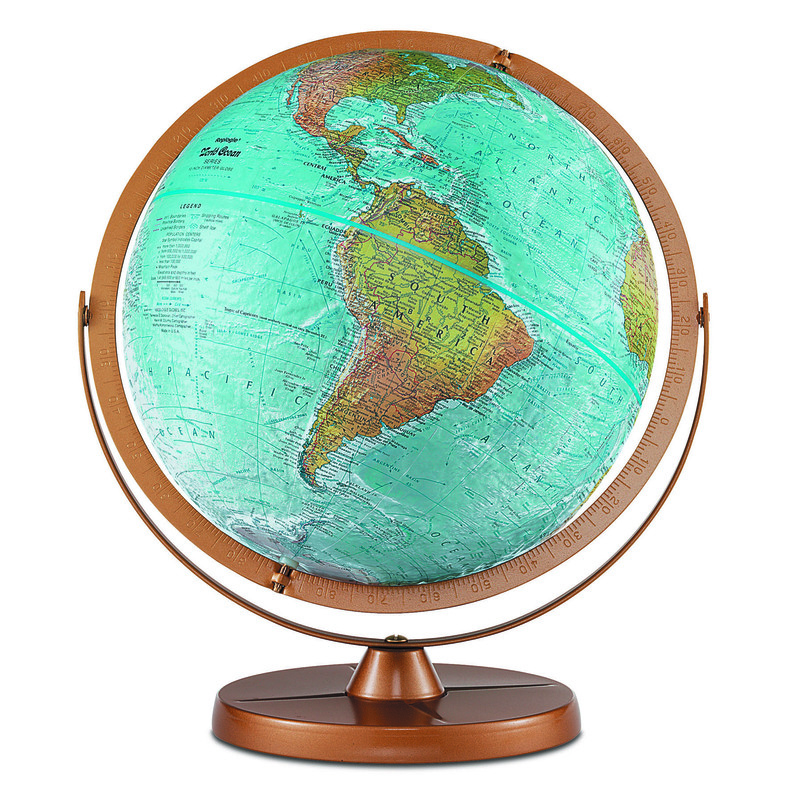 12″ political and physical desktop globe by Replogle. 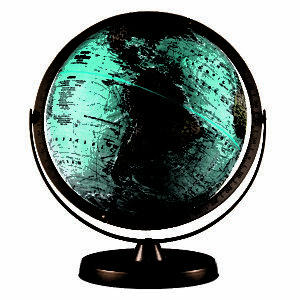 The Atlantis is a unique 12″ aquacolored “Physical” globe that shows both raised and indented relief. Land areas are shown in truetolife color to illustrate mountains, deserts, forests and grasslands. Oceans show undersea physical features ridges in rich coloring. 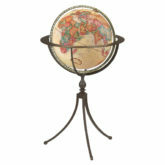 Gyromatic mounting with numbered full meridian, swings up or down to bring any area into closer view.